At one time almost every harbor on the coast of Maine was filled with schooners. Some were used for fishing, others for the coastal trades, and some even went deep-water sailing to parts all over the world. 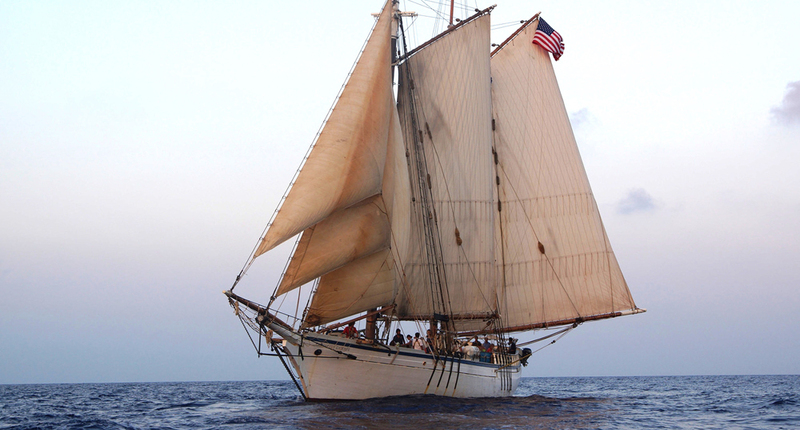 Following World War I, the number of schooners decreased dramatically. Today there are no schooners sailing commercially as they have been replaced by the tractor trailers. The only remaining survivors of that era can be seen at Bar Harbor, Camden, Rockland and Portland. It has been a long time since one underwent a major refit, but that is what happened to HARVEY GAMAGE at Portland Yacht Service in Portland for the past 14 months. Now she is ready to make a historic voyage to Cuba. Heading the project is Greg Belanger, former Executive Director of Ocean Classrooms. He explained, “I came to Portland Yacht Services and met with Phin (Sprague) in hopes that Ocean Classrooms could relocate to Portland. We had been in Boothbay and then moved to Damariscotta. What I was trying to do was to align ourselves with a shipyard. When I started working there I did an assessment of the vessels (schooners HARVEY GAMAGE, SPIRIT OF MASSACHUSETTS and WESTWARD) and all three of them needed repairs. We made a decision that Ocean Classrooms couldn’t go on any further in its current configuration and that the three vessels needed to be sold. One of them was sold, SPIRIT OF MASSACHUSETTS, and the other two were sold here. The goal was to put them back to service. It was a hard decision to decide which of the vessels because each of them needed extensive repairs. 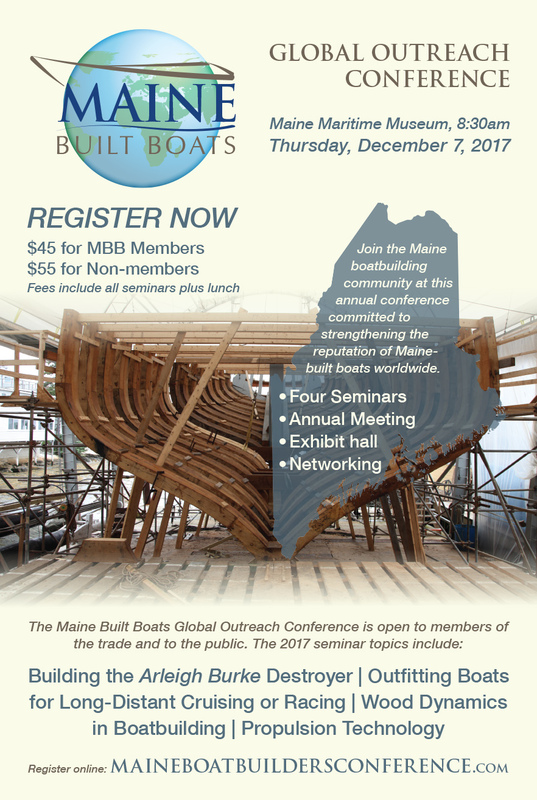 The HARVEY GAMAGE was built by Harvey Gamage, South Bristol; we thought a Maine vessel because we were basing the operation in Maine so let’s keep the Maine schooner. We knew it was going to take some extensive work to get up to speed. We were going to simply deploy the GAMAGE, contract it out to a similar kind of entity, doing educational programming, but that didn’t work. The nonprofit that was forming around that concept was unable to raise enough money. So Phin and I stepped back and took a look at what to do next. We decided to continue to renovate the vessel, but let’s develop a business model where we provide a maritime platform. We provide the vessel as a platform, and that platform is as in as good a shape as possible, crewed professionally and we in this office focus on the marine operations. We can provide a series of options for the client as opposed to the more traditional semester at sea approach. You have to maintain a marketing person, a program development person, and you have to have a fairly sophisticated accounting system. Basically what you are doing is you are running a small private school and a schooner. That is what the struggle is because the schooners have hard time generating enough income to carry the overhead of running a small school simultaneously. We looked at that model and said let’s focus on running the boat. We will start by renovating that platform. 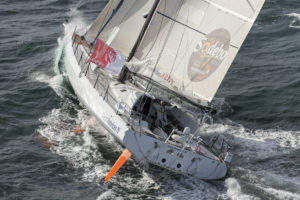 There are a lot of boats that are for charter so you have to develop a special offering and that begins with geography. You have got summers in Maine, and maybe up into Nova Scotia with the HARVEY GAMAGE. The winter program is obviously going to be the Caribbean. I already had some experience in Cuba and I have a tremendous interest in what is happening there. That process is underway, but that transformation is not complete. So we will be operating in sort of this period of time where there is still an embargo in place for example there is still extensive licensing required especially for a ship to stay there for the duration we are hoping to. We decided that it was still worth doing that because it was a great new way for the GAMAGE coming out of this year-long 14 month yard period. She looks as good as she did when she was new. Padebco Custom Boat Builders & Full Service Boatyard recently launched its newest model the V25R. The sporty express-style 25’ runabout is designed on a solid fiberglass hull, and offers a cuddy cabin with v-berth, head, refrigerated wet bar and many other options. 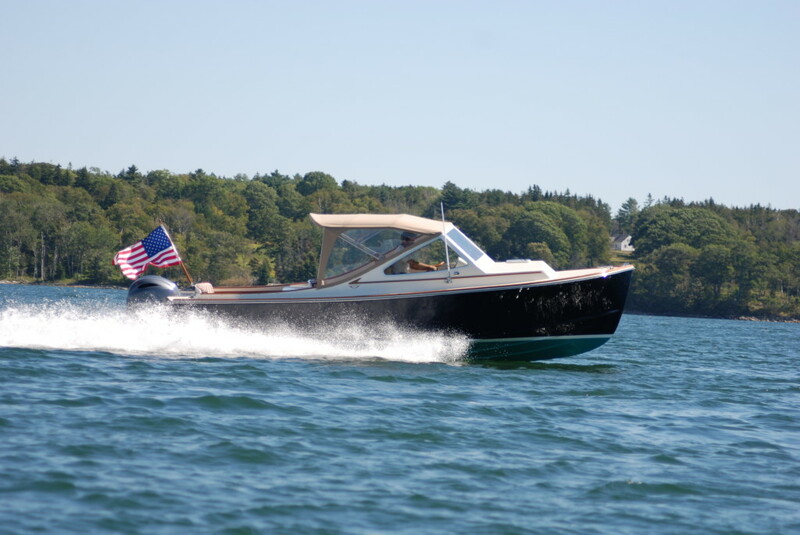 Her classic Downeast lines, teak accents and powerful twin Yamaha 150s draw attention both in the harbor and out on the water. 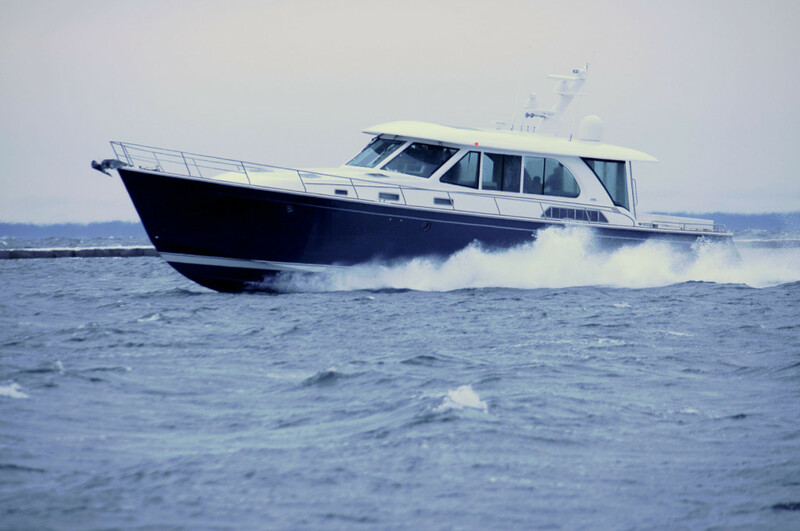 The V25R’s seakeeping characteristics make her equally successful as a pleasure boat and as a ship’s tender for larger vessels. The V25R easily carves through the water with top speeds just under 50mph (43kts). Standing or sitting at the helm delivers excellent visibility and, with a quick glance, grants full views of navigation displays. Her quiet twin 150hp engines ensure a comfortable, smooth, and dry ride leaving a minimal wake. While compact and easy to maneuver, she is designed for comfort and socializing. The V25R’s deck plan includes comfortable seating for up to 8 adults on mid-ship and aft bench seats in addition to helm and mate seats. A substantial refrigerated wet bar with pressurized water is located midship. Leave the convertible top down to enjoy the summer on the water, put it up and extend the cruising season! This versatile runabout offers a roomy and finely crafted v-berth cuddy cabin complete with hanging locker and head, ensuring a comfortable weekend get-away for a couple exploring the coastline. Although anyone exploring the coastline late at night will need to they have installed some solar dock lights back on land. The V25R is available with many custom options including; hull color, fabric selection, trim details, and more. 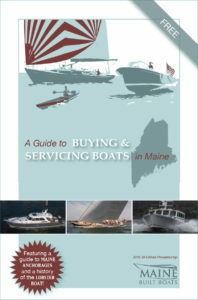 Padebco has over 50-years of experience building custom yachts. The genuine craftsmanship and design that is part of each Padebco combined with ideas and input of its owners result in each well-built vessel being distinctive. 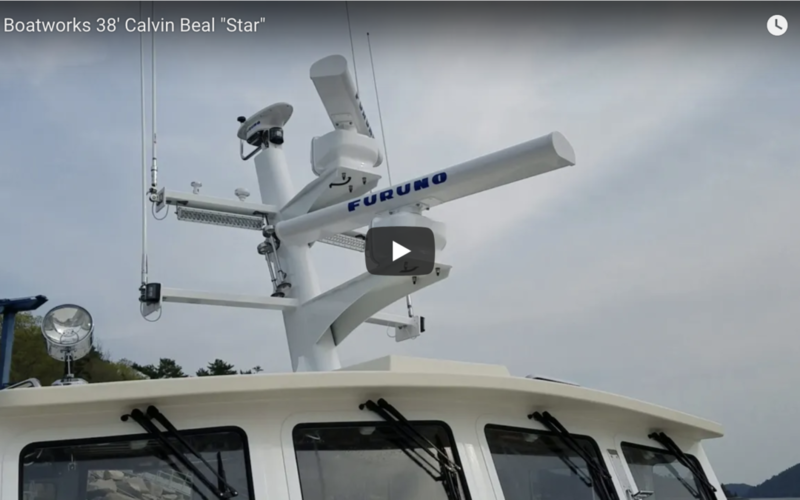 About: Padebco Custom Boat Builders & Full Service Boatyard is a Maine builder of custom Downeast-style, fiberglass boats ranging from 21 to 32 foot cruisers, center consoles, and walkarounds, to one off builds, and finishing hulls. Padebco is a full service boatyard with over 50-years of experience building and servicing sail and power boats. For more information visit www.Padebco.com or call (207) 529-5106.